Merry Christmas to those who can't help but adore the hairy, pot-bellied, pear shaped creature despite his grumpiness and mean temper. 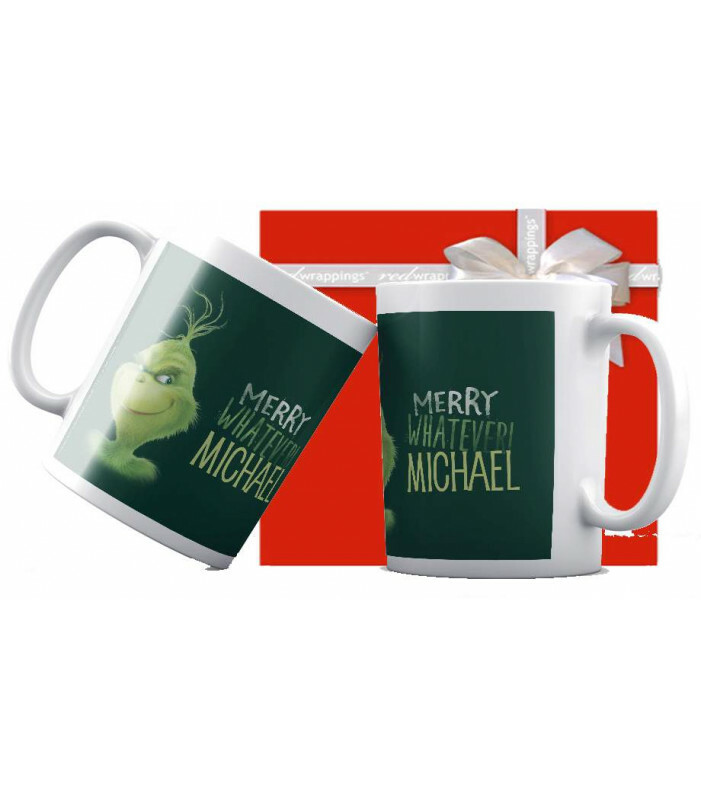 If he has stolen your heart, you can now have your own Grinch mug. These ceramic Grinch mugs can be personalised and would make great Christmas gifts, even for big kids. Dishwasher and microwave safe (Warm Wash only in dishwasher). Maximum 12 characters including spaces. Price is for 2 personalised mugs.